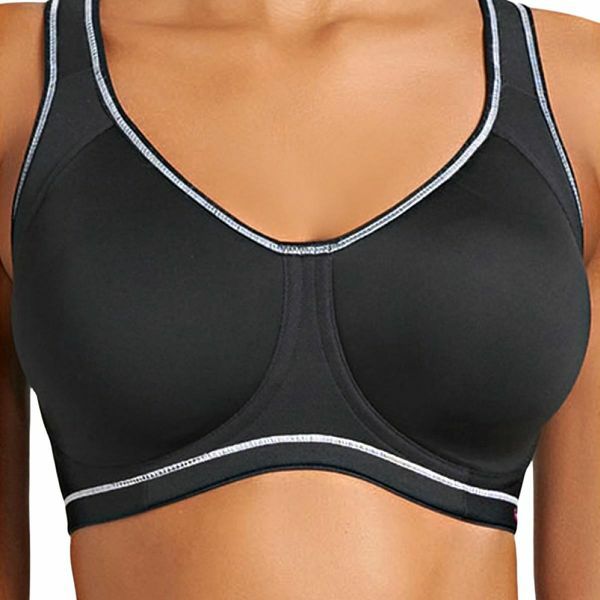 Step up your performance in this cool, comfortable sports bra with great support and a versatile J-hook back. Inner cup support slings are made of Coolmax which dries five times faster and wicks moisture away from the body. Gives medium coverage.